Bad breath is an unpleasant yet highly common problem which can be effectively remedied. 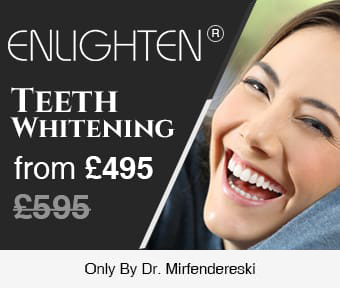 Your experienced dentist in Wimpole Street can eliminate bad breath and restore your confidence. Without proper dental care, bacteria builds up in the mouth. Saliva combines with the bacteria to break down food particles which releases a bad smell. Over time this bacteria can breed and cause tooth decay and gum disease – other causes of bad breath. Certain strong-tasting foods such as, garlic and onions, are prime culprits of bad breath. The oils in these pungent foods can linger in the mouth for a long while after eating. Tobacco leaves an unpleasant taste and smell in the mouth, and can also lead to gum disease. The only way to stop this kind of bad breath is to stop smoking. Dentures or braces can trap food particles and cause bacteria to build up, resulting in bad breath. The antibacterial properties of saliva keep bad bacteria at manageable levels. Saliva also works to flush out particles of food left in the mouth after eating. Dry mouth is therefore associated with bad breath. This condition is caused by salivary gland problems, medication, and breathing through the mouth. Not eating enough leads to your body breaking down fat stores and releasing ketones. These chemicals can leave a sweet smell on your breath which can be smelt upon exhalation. What are the remedies of bad breath? Regularly brushing and flossing your teeth after every meal is a vital step in preventing bad breath. Eliminating plaque and removing particles of food helps ensure a healthy mouth and fresh breath. Mouthwashes are another highly effective way of getting minty-fresh breath. Antibacterial agents present in many mouthwashes can reduce the number of odour-producing bacteria present in the mouth. Bad breath is largely caused by the sulphur compounds that lurk at the back of the tongue. Using a tongue scraper is a good albeit temporary solution to bad breath. Drinking enough water throughout the day ensures your saliva flows correctly. Make drinking enough water a lifelong habit and good breath will be one of the many benefits you experience. Chewing gum prevents dry mouth by stimulating saliva production. Avoid full sugar chewing gum since sugar encourages plaque, damages teeth and gums, and causes bad breath. Although mints may seem like a good option, they don't help the flow of saliva and only temporarily hide bad breath. Most bad breath can be eliminated with good oral hygiene. But there are some cases where a dental or medical condition may be to blame. Book an appointment with our highly-skilled dentist, who will expertly identify and solve the cause of your bad breath.